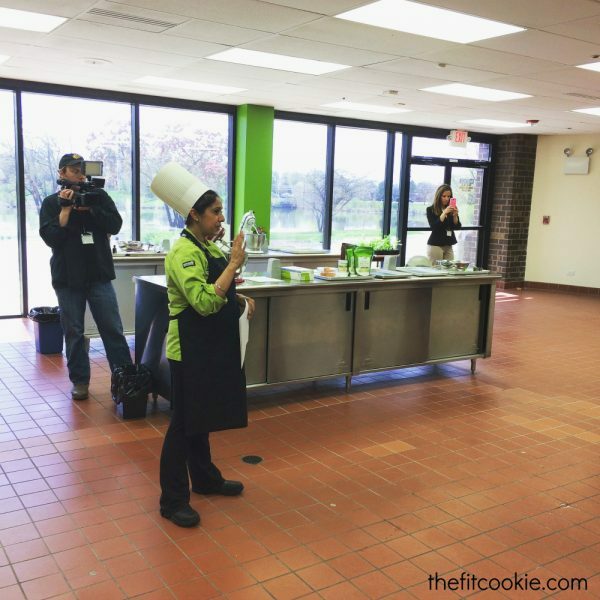 I shared in one of my last posts that I was going to be going to Bloomingdale, Illinois, for a fun blogger immersion event with FitFluential and NOW Foods for the #NOWGetFit campaign! 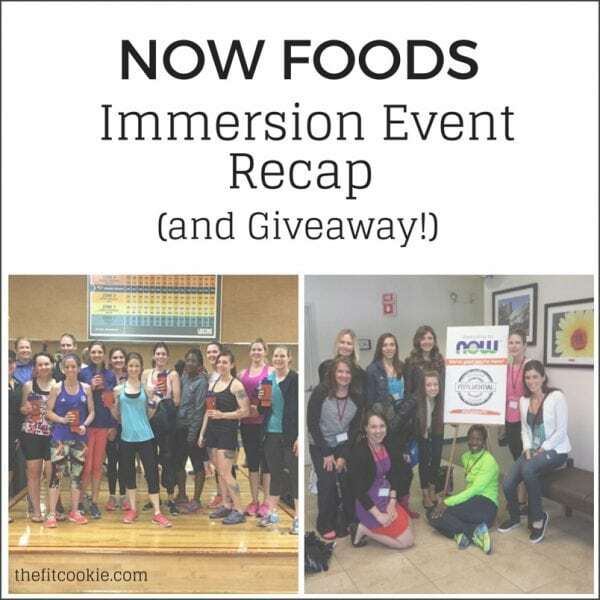 I had an amazing time on that trip and I’m going to share all about it, AND I have a fun giveaway for you at the end of the post 🙂 So sit back and enjoy my NOW Foods Immersion Recap and Giveaway! 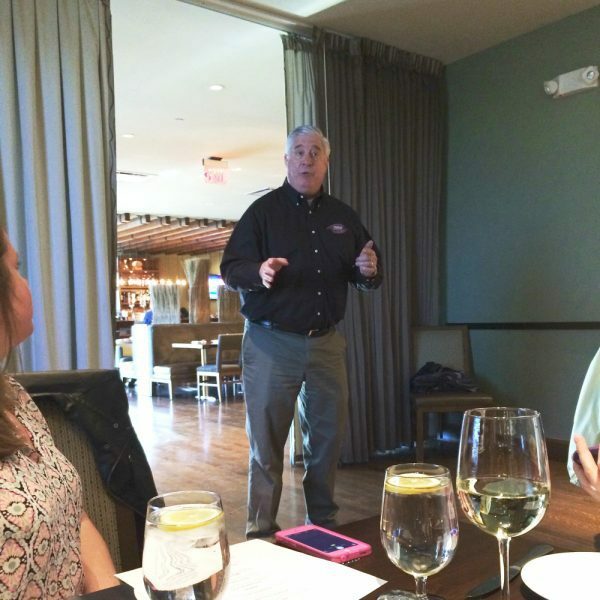 Here’s just a little background on the NOW Foods company: NOW Foods is natural products company that was founded in 1968 and has grown tremendously over the years. The company is still privately owned by the Richard family, and they have product in over 60 countries world wide. 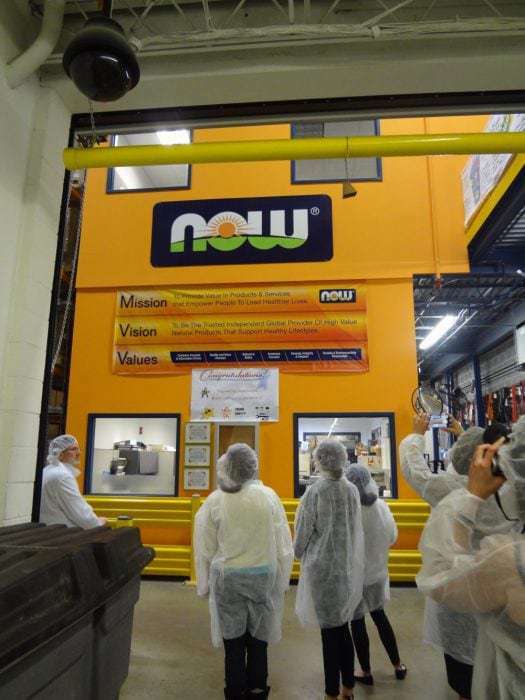 The NOW Foods facilities have received an “A” rating by the Natural Products Association (NPA) for meeting Good Manufacturing Procedures (GMP) standards. 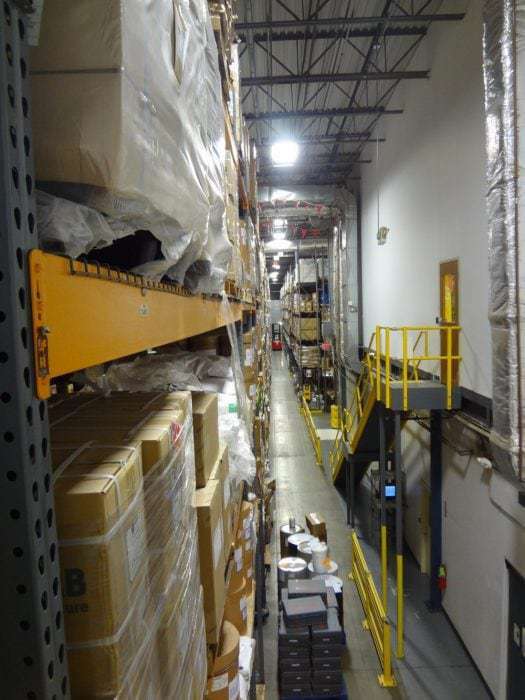 The NOW Facility in Bloomingdale has been GMP certified by NPA since 2000. 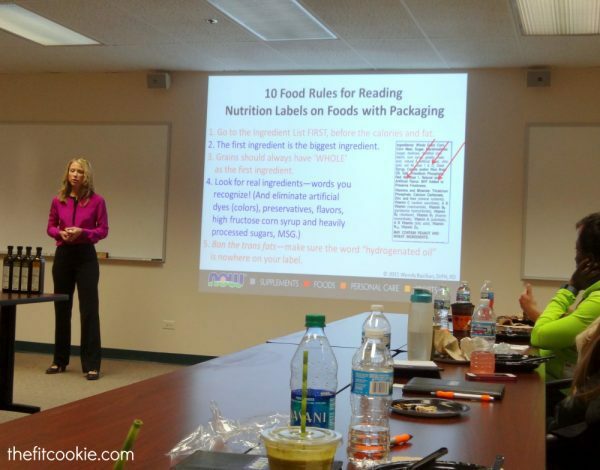 NOW Foods takes care when handling allergens (you’ll see a bit more on that later), and they use non-irradiated and organic ingredients when possible. As for GMOs, 100% of their food products are non-GMO, and 75% of their supplements are non-GMO assured. NOW takes their non-GMO commitment seriously! 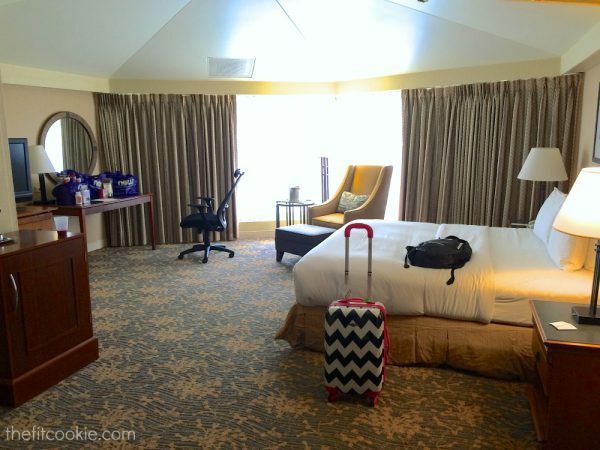 We stayed at the Hilton Indian Lakes Resort in Glen Ellyn. It was nice! 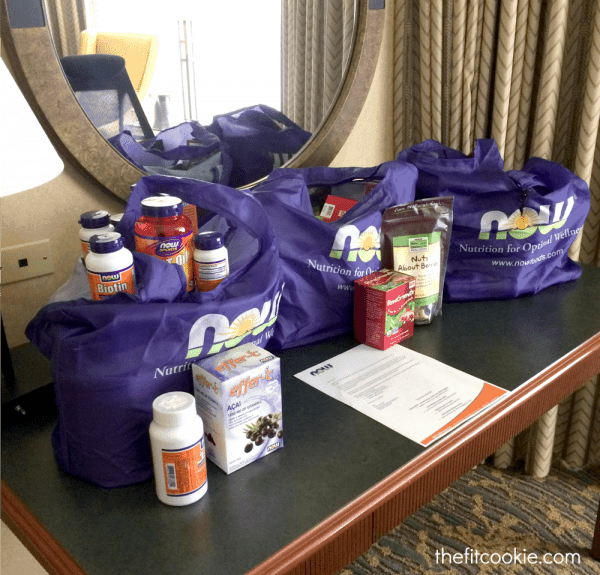 These amazing products were waiting for us in our rooms! The Honey Roasted Pecans were everyone’s favorite! Once you start eating them you can’t stop, they are so good. I took photos of everything once they arrived at my house (NOW shipped them home for us). Here is the NOW line of food products and their Living NOW line. 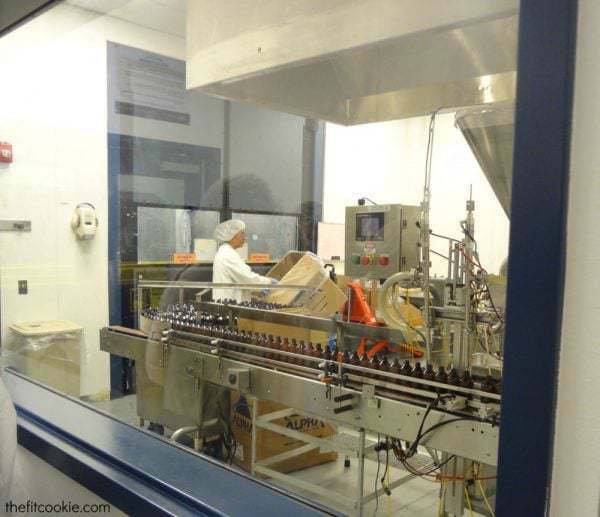 The Living NOW products are free of the top 8 allergens and are processed and packaged in a dedicated facility. Very awesome! 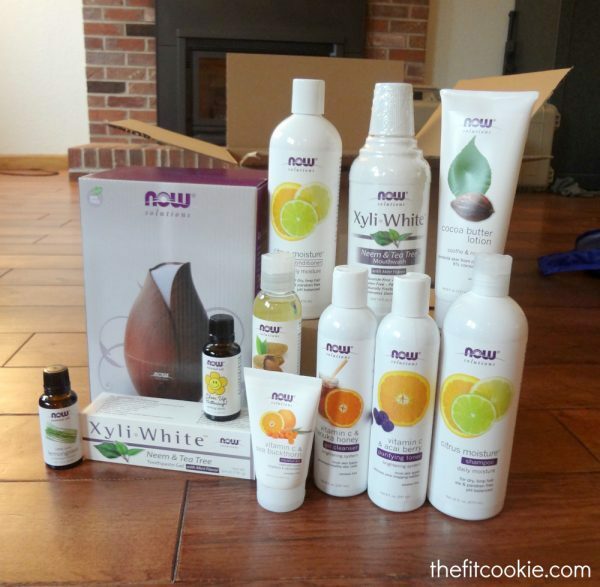 The NOW Solutions line are natural skin and body care products and essential oils. NOW Solutions products are paraben-free, free of artificial colors and fragrances, and they are not tested on animals. 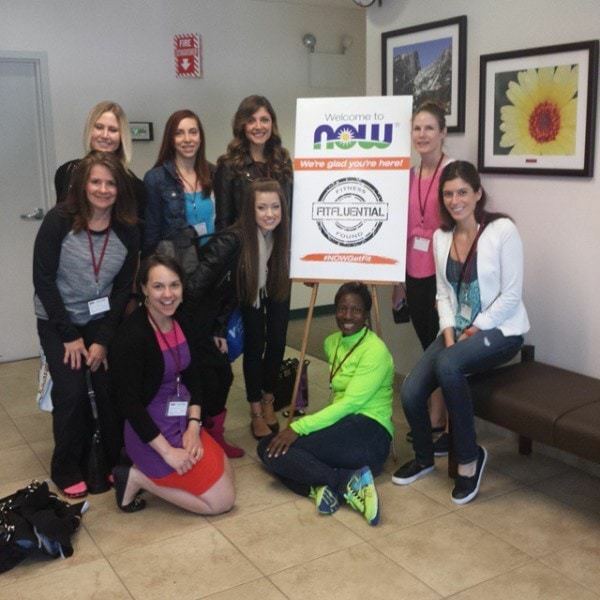 After our workout on Friday morning we got showered, had breakfast, and went to the NOW Foods manufacturing facility for a tour. They wanted to make sure things stayed clean so we covered up well. 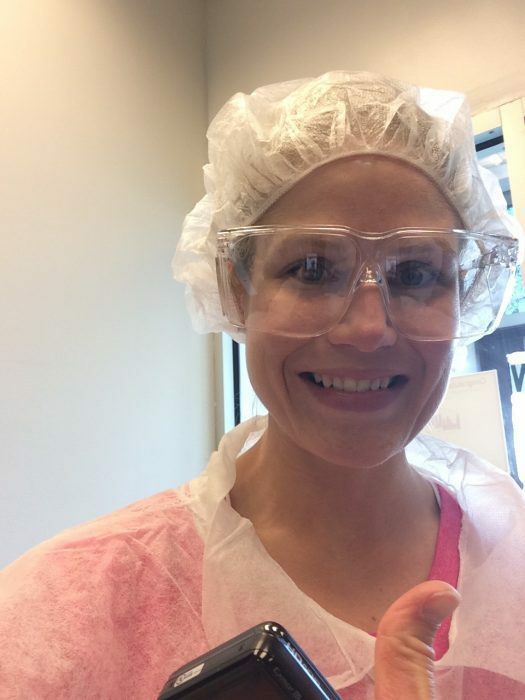 I was excited about this since my family loves to watch “How It’s Made” and see how our favorite products are created. In the photo above, the workers are cleaning the equipment after a production run. 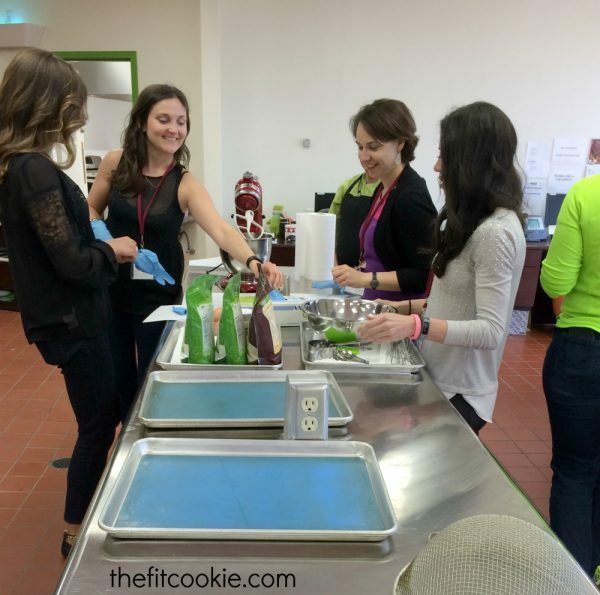 In the NOW Foods facility there are rooms for different things (encapsulation, tablet pressing, etc. 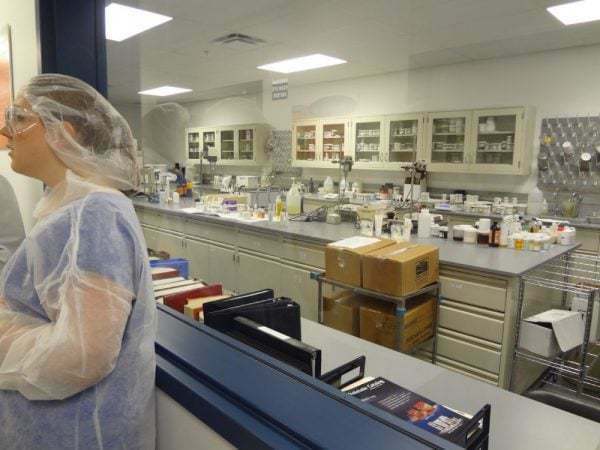 ), and each time they complete a production run, they completely clean the entire room and equipment so there is no cross-contamination before their next batch of product and to ensure that each batch is pure. 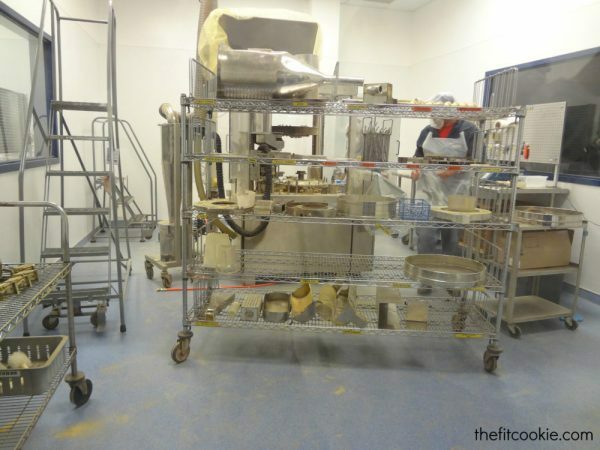 They disassemble the machinery and clean each piece, and they even clean the walls and ceiling tiles, following set protocols and procedures to eliminate cross contamination. This is great news for people with food allergies! NOW Foods is very conscientious of allergens and cross contamination so they take this seriously. 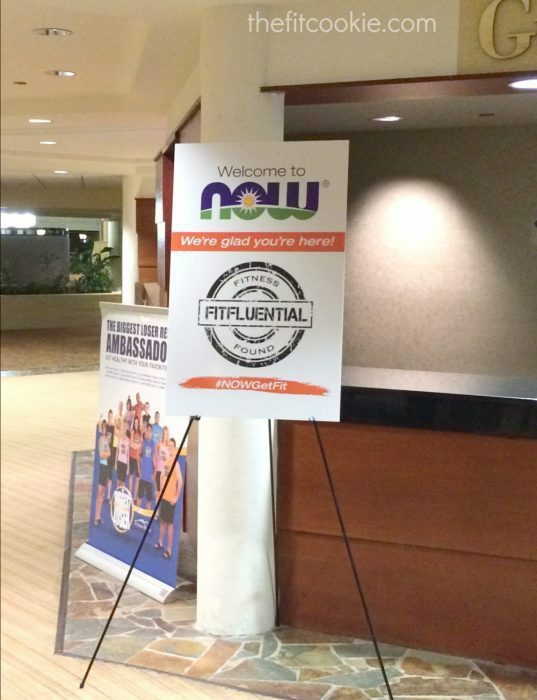 Here’s a video that FitFluential made for the event! its hard for me to choose what product I’d like to try because I’d love to try them all. Haha! I would be so excited and so grateful to try all Now products. Awesome awesome giveaway. Thank you for dropping the knowledge on us about the products Now has to offer. The teas, Ive been looking to replace more of my coffee with new teas instead! I really want to try the macadamia nut oil! Honey Roasted Pecans sound amazing! I’m aways looking for new protein powders, so I’d like to try that. But really, I’m excited about all of it!! The oils and any of the NOW products I haven’t tried as I love the ones I do have! 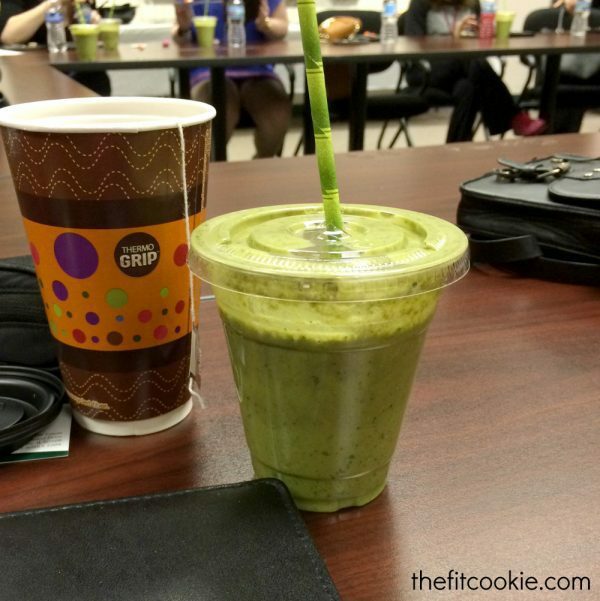 Avocado and coconut oils, as well as the brown rice protein. 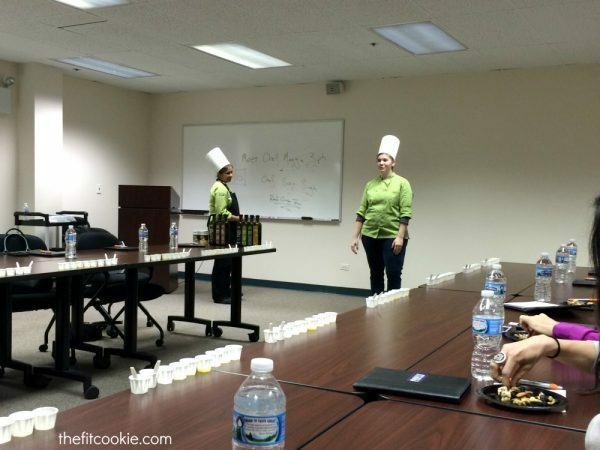 The Avocado oil looks interesting! EVERYTHING!! Especially the protein powder and the coconut sugar 🙂 Thank you for the wonderful giveaway. I’ve always wanted to try coconut oil. I’m curious to try some of their teas! I would love to try all of it, but the pecans sound delicious! 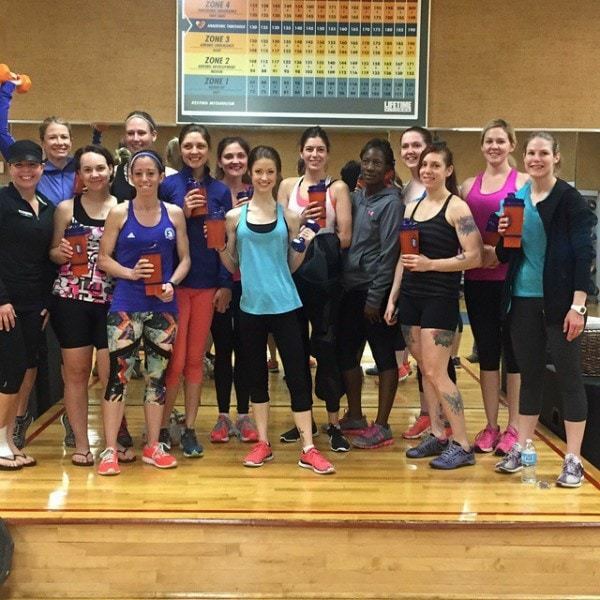 I would love to try the whey protein powder or the infused coconut oil. I am interested in the whey protein powder. I need to up my protein intake and this seems like an easy way to do that. I would love to try the avocado oil. It sounds great! Toffee Caramel Fudge for me! Ummm, all of it! Especially the protein powder and avocado oil! I’d like to try the toffee caramel fudge! The Whey Protein Isolate. I loved reading this. Looked like it was a blast. My favorite would be the honey roasted pecans! I’d love to try the Fudge Brownie Mix for my family. We all love brownies! I would like to try the beauty products! Definitely the pecans! Looks like you had a great time! I am excited to try the Now Foods Biotin to improve my hair skin and nails! 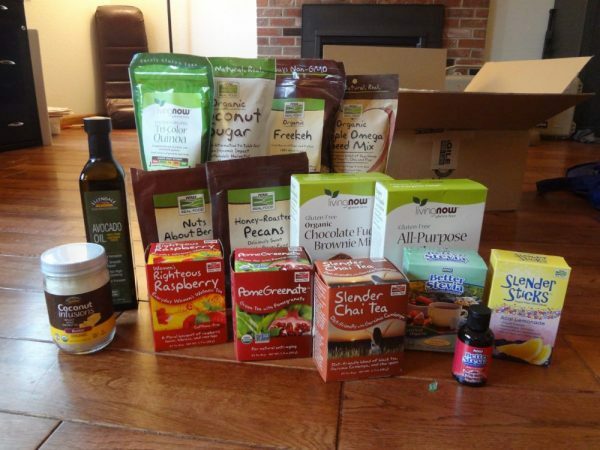 I’d love to try the coconut sugar (for my sweet tooth) and avocado oil (it’s great for everyday cooking). Also all of the sports line! 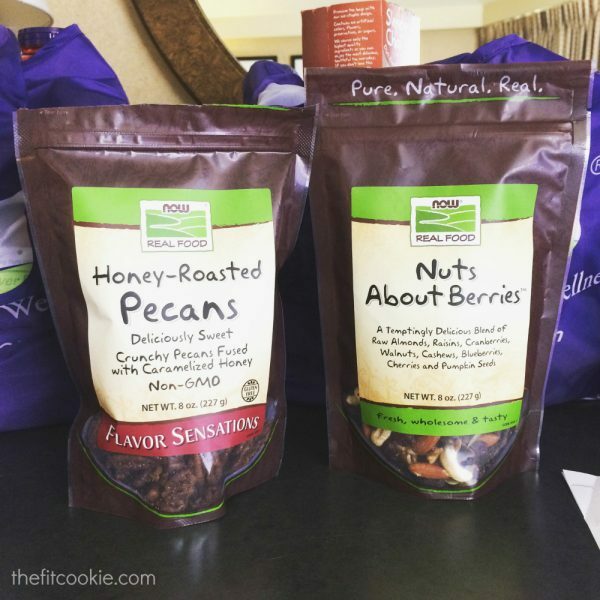 I would be excited to try the pecans, since you recommend them! 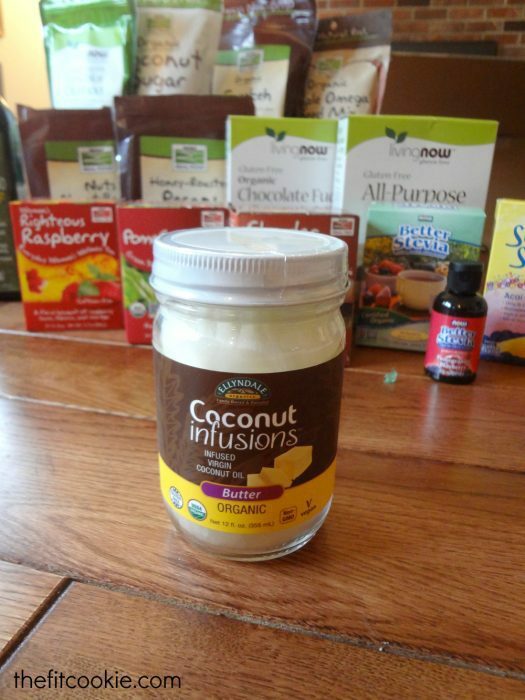 I really would like to try the coconut infusion and All purpose. I would like to try the Avocado Oil. 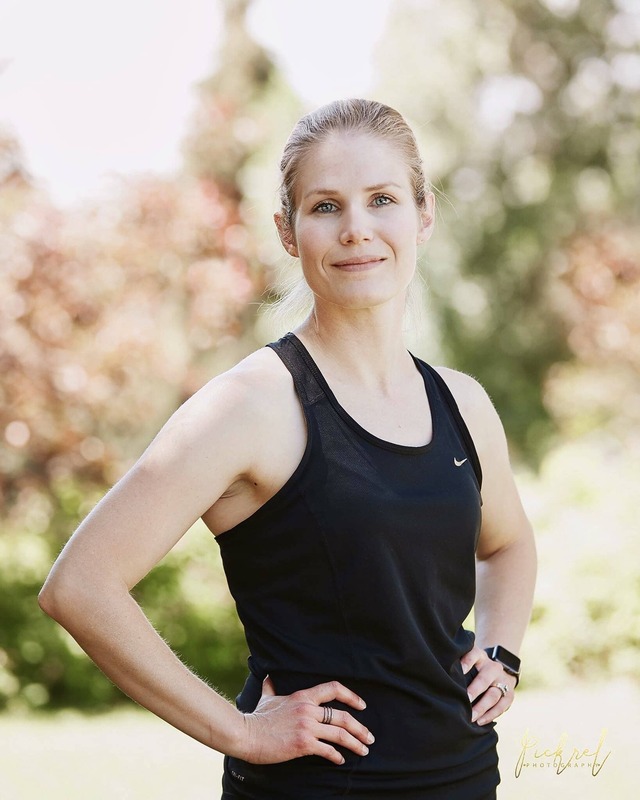 I’m always looking to try new protein powders, so I’m most excited about that part of the prize pack! NOW foods seems to have some great flavor options. 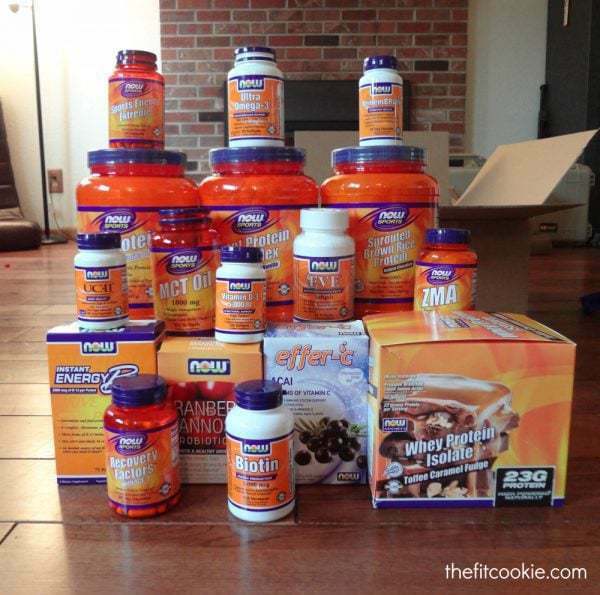 I would love the supplements! I have to say I’m a little jealous 😉 What an experience! I would love to try the coconut oil and the hair care products! I’d love to try the coconut butter! I’m looking forward to trying the Honey Roasted Pecans. What an amazing experience! I’d be most excited to try the gluten free brownie mix! YUM! I would really like to try the shampoo and conditioner. I’m looking forward to trying the products shown on the bottom or the top left! How much fun was that trip?! The honey pecans sound wonderful. I’d love to try them as well as some of the essential oils. I would like to try the protein powder. I use the plain coconut oil all the time but would like to try the infused coconut oil. I would love to try the avocado oil. I am most looking forward to trying the Whey Protein powder since I am always looking for superior protein sources to fuel my body. I look forward to trying the Honey Roasted Pecans. Everything looks great. I would love to try the coconut oil! I want to try the essential oils. I use their lavender nightly and love it. Hi! I’d love to try the brown rice protein. wow! great give away! I will have to order some of their stuff! I’d love to try coconut sugar since I need to stay clear of cane sugar and honey is on 4 day rotation. Chai tea and the coconut oil! I really want to try the butter coconut oil! I’ve been trying to cut things out of my diet, and butter is proving difficult.. I really want to try the coconut infusions! I would love to try the GF brownie mix! I really want to try the body care products! I have been looking for an affordable line of “clean” shampoo/conditioner etc. I don’t want to put any additional toxins into my body through my skin! I would love to try some of the beauty products and the avocado oil! That looks like so much fun! I’d love to try the coconut oil! coconut oil-i have heard so many good things about it! I would be most interested in the coconut products. 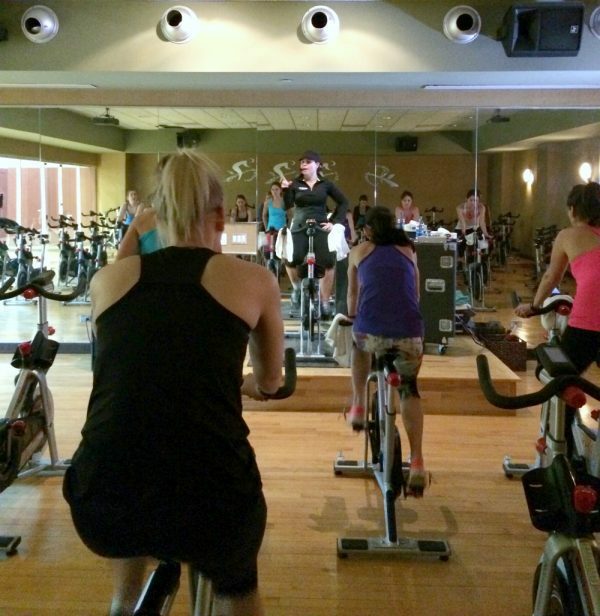 I have heard so many good benefits about it but not had uch of a chance to try any of it. I think my family would enjoy trying it too. 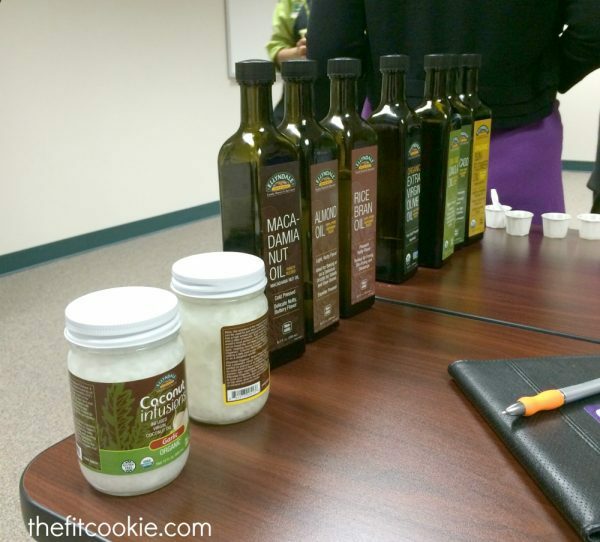 The butter flavored coconut oil is genius! Thanks Taylor! It was awesome meeting you, too!